Okay! Musume Time: It's A Tale of Everlasting Beauty! 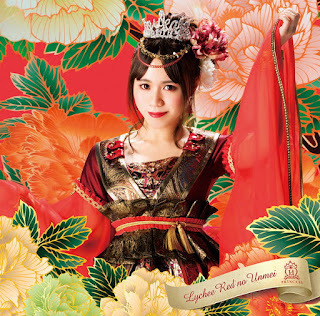 Houkago Princesses' 'Lychee Red no Unmei' Covers Revealed! It's A Tale of Everlasting Beauty! Houkago Princesses' 'Lychee Red no Unmei' Covers Revealed! After four singles and a feature album song, Houkago Princess have been depicting popular fairy tale, historical and even movie portrayals of royalty. 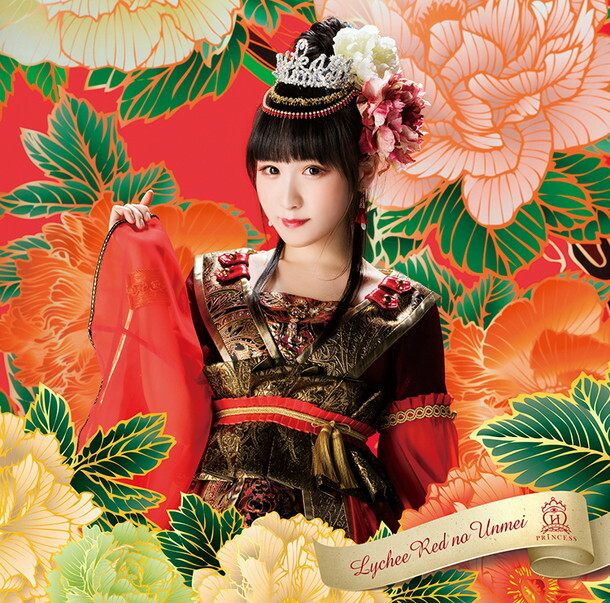 For their latest venture, however, Houkago Princess will finally take on the role of an Eastern Historical figure! In this brand new chapter of Houkago Princesses royal adventures, let's dive into the era of ancient China, and experience the life of one of China's Three Beauties who brought their country to its knees in this new, dramatic tale! On December 26th, the Houkago website and Universal Music page for the group updated with the news that the promotional artwork and covers had been revealed for the up-coming single release, as well as the title itself! 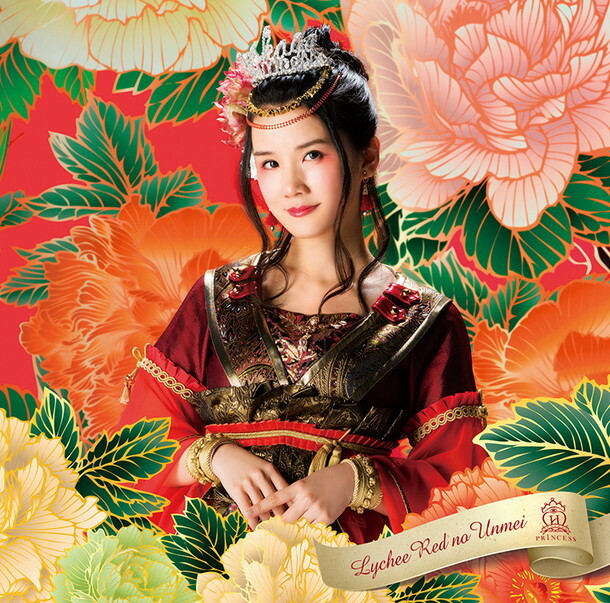 Named 'Lychee Red no Unmei' (translated to: Fate of the Red Lychee), the story behind the song will tell the tale of the Historical Lady, Princess, Nun and Consort, Yang Guifei, whose beauty won over an emperor. 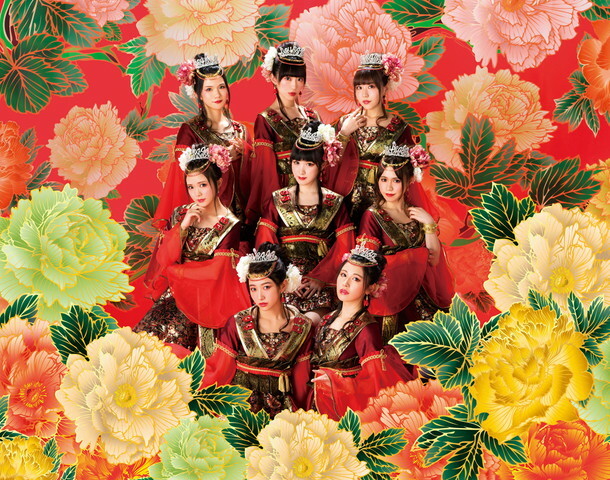 A key feature in the imagery is the peony that decorates the backdrop, as well as the gorgeous red that adorns the members costumes. 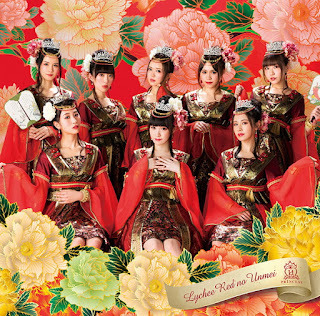 This will be 5th single release from Houkago Princess under the Universal Music Japan label, and the first since their new lineup change to include eight members. 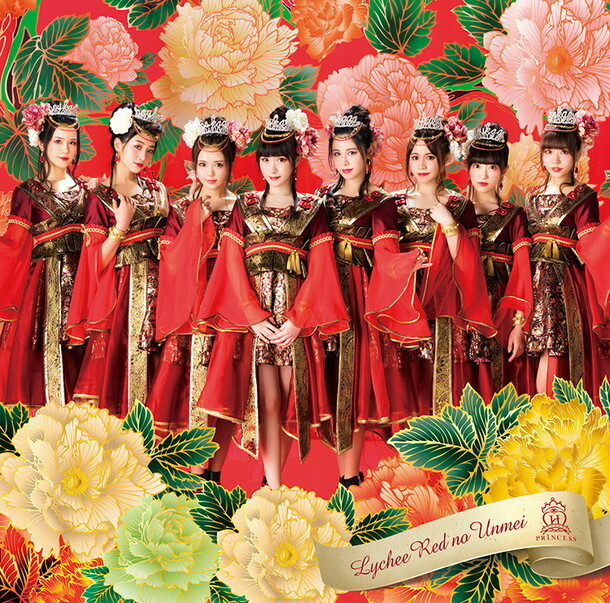 It is also the first single release of 2017 from the group. Ten editions will be available to purchase, with a Regular and Limited DVD edition, as well as eight solo member covers. The single will be available for purchase on February 17th, 2017. OOOOOOOH, UPDATES! *^* I really did not expect anything so soon, especially with the sudden announcement that Marina would be leaving (and soon), or with the new member introduction that only happened some days ago. That said, these things are all planned in advance, or they simply re-shot the group photo and scrapped the Marina version. Who knows? Either way, we have the promotiona image, and new covers to squee over! And yes, I am delighted! I like whatever HouPri brings out, it seems, but honestly, these costumes are GORGEOUS! 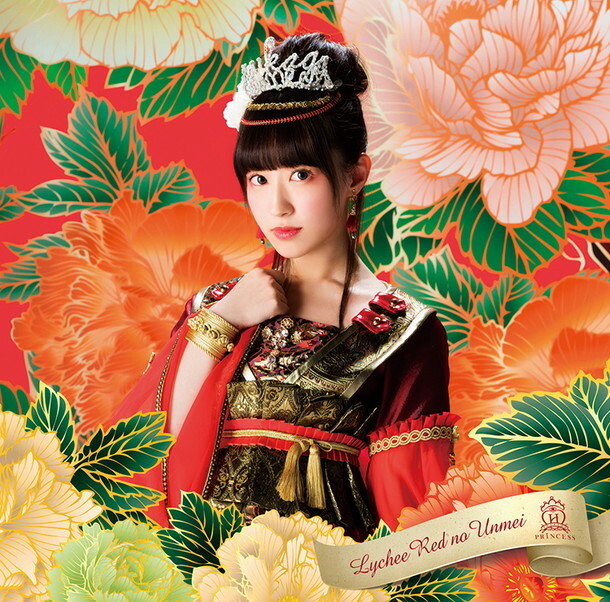 I love the red motif they have going, and their make-up is bomb! I think the use of red eyeshadow is wonderful, and the overall look is very appealing. It's nice to see them go a new route, and take on another tale that is widely known in Japan, but put their spin on it. 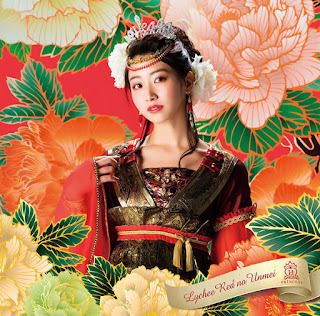 Though I doubt they will stick closely to the story - of course, it'll be heavily embellished in romance and lack the death aspect or even the fact she was a concubine - I look forward to seeing what HouPri do with it. 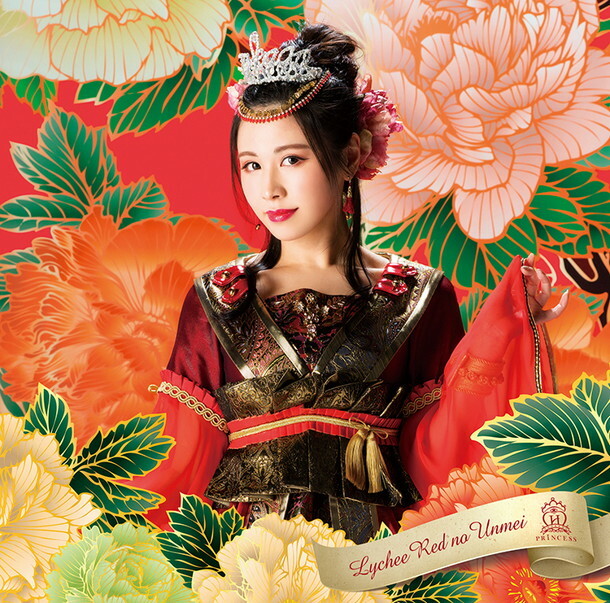 I would like for the video to be gorgeous and luxurious, but, you never know; Himitsu no Tiara to Gelato was not what I expected, but it was still highly enjoyable, so I can only hope that Lychee Red no Unmei is the same, if not, better. As we sit and wait for the PV to eventually come out, however, let's just look at the beauty of these covers, and adore all the regal airs these covers create! Left: Sirosaki Himari ver. 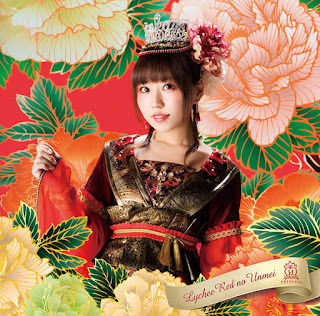 | Right: Michishige Saho ver. Left: Sekine Sasara ver. 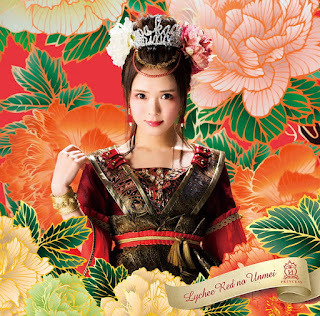 | Right: Kojima Mayumi ver. Aren't they gorgeous!? I'm absolutely amazed, and completely in awe of Himari and Sasara, here! They really suit this look, with Himari matching the makeup perfectly, and Sasara killing it with her mature, royal look. Everyone is beautiful, they honestly are, but right now I'm mesmirised by these two, especially! Nana also stands out quite a bit here, she really suits the look, thanks to its traditional aura and look. Enjoy the excitement, and anticipate the up-coming Lychee Red no Unmei in February, 2017! Take care, everyone, and stay tuned!